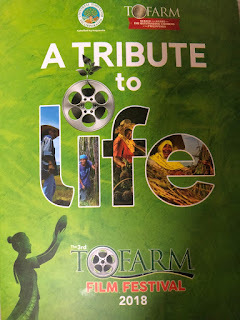 TOFARM FILMFEST is the only advocacy-driven film festival today. 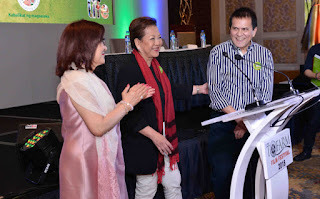 Initiated by Dr. Milagros How, president of Universal Harvester Inc., it aims to help the agricultural industry by showcasing the lives, trials and triumphs of our farmers. 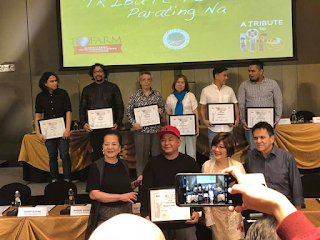 Two festivals have been held so far, in 2016 and 2017, with the late Director Maryo J. de los Reyes as festival director. The third one is being held this year with writer-actress-director Bibeth Orteza replacing Direk Maryo and Direk Joey Romero as managing director. Many good films were harvested in the past two films, notably “Paglipay”, “Pitong Kabang Palay” and “Pauwi Na” in 2016 and “What Home Feels Like” and “High Tide” in 2017. Last Tuesday, the seven finalists for the 2018 filmfest were officially announced at Novotel. “1957” -- a historical drama set in 1957, the year that Pres. Ramon Magsaysay died in a plane crash, written and directed by Hubert Tibi. A group of farmers oppressed by an abusive landlord in Bicol is pinning their hopes on the visit of Pres. Magsaysay in their place for genuine land reform, without knowing that he has died in the crash in Mt. Manunggal. “Alimuom” -- science fiction, written and directed by Keith Sicat. Set in the future when parts of our country are under bio-domes. OFWs now stand for Outerspace Filipino Workers. 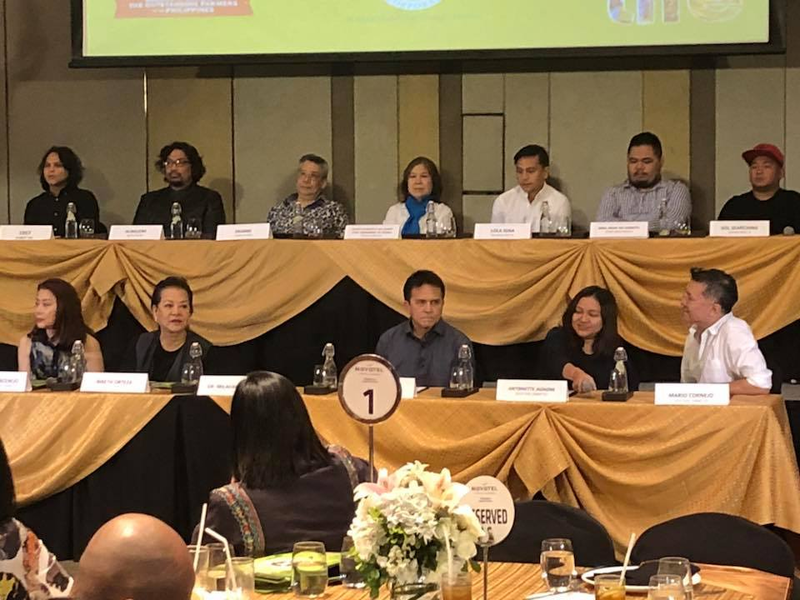 “Fa-sang” -- period romance, written by Charlson Ong (director to be announced, but Ong has expressed his preference for Chito Rono who last year directed his script for “Ghost Bride”). This is based on the classic Philippine short story “Tanabata’s Wife” by Sinai Hamada set in the 1920s about a Japanese immigrant farmer in La Trinidad, Baguio who falls in love with a local woman, Fasang, who later becomes unfaithful. Story)” -- biopic, written by Rosalie Matilac, directed by Ellen Ongkeko Marfil, Rosalie Matilac, and Nilo Paz. This is based on the true story of a great Filipino botanist who was slain together with a guide and a forest ranger in the forest of Kanangga, Leyte. Government troops said they were caught in a crossfire between the military and the NPA but witnesses proved that they were just mistaken bo be NPAs. “Lola Igna” -- cultural drama, written and directed by Eduardo Roy Jr. about a 115-year old grandmother living in Sagada. Will she get to be the Guinnes Book of Records’ oldest living person and become a tourist attraction to benefit the farming community close to the cliff where the hanging coffins are locate? How will this affect the warring factions in her family? “Mga Anak Ng Kamote” -- futuristic absurd comedy-drama, written by John Carlo Pacala; directed by Carlo Enciso Catu. Set in 2052, the planting of kamote is prohibited by then and those guilty of planting and selling of kamote are put in prison per the Kamote Planting Regulation Act. “Sol Searching” -- a dark comedy written and directed by Roman Perez Jr. about Teacher Sol, a no-nonsense grade school teacher who died and cannot be buried due to lack of funds. What will the community to help put her to final rest, especially by the farmers who need to be taught the latest scientific farming methods? #TofarmFilmFestival2018 will be held on September 12 to 19. We just noticed that some of the chosen scripts are very ambitious and seem quite expensive as some of them are period films and futuristic ones calling for big budget production and costume designs. And they’re getting a seed money of only P1.5 million per project! All we can say is good luck to all of them.